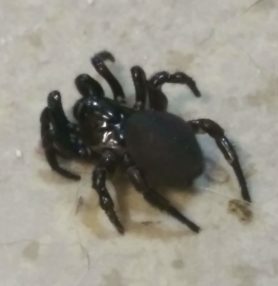 I originally thought that this was a trapdoor spider. 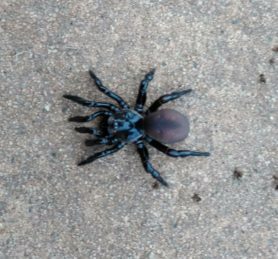 However trapdoor and mouse spiders look very similar. I found him/her on my sidewalk late last night and it would appear that he/she is injured or sick in some way. I am asking my wife to go get the required enclosure, substrate, heating apparatus, and sustenance. 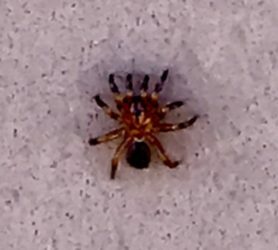 However I am not 100% certain what this spider is so I am not sure what exactly it needs. 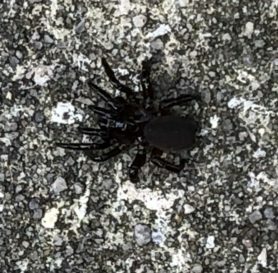 This picture is from when I attempted to let him/her go this morning but I came back out 10 minutes later to find him/her on their back in what I would consider the 'death' position. I have since then brought it back inside. I cannot find any vet in the area that will take him/her in. I do not want to put it back outside until it is in a better state than it is currently. Any information that anyone can provide would be greatly appreciated! 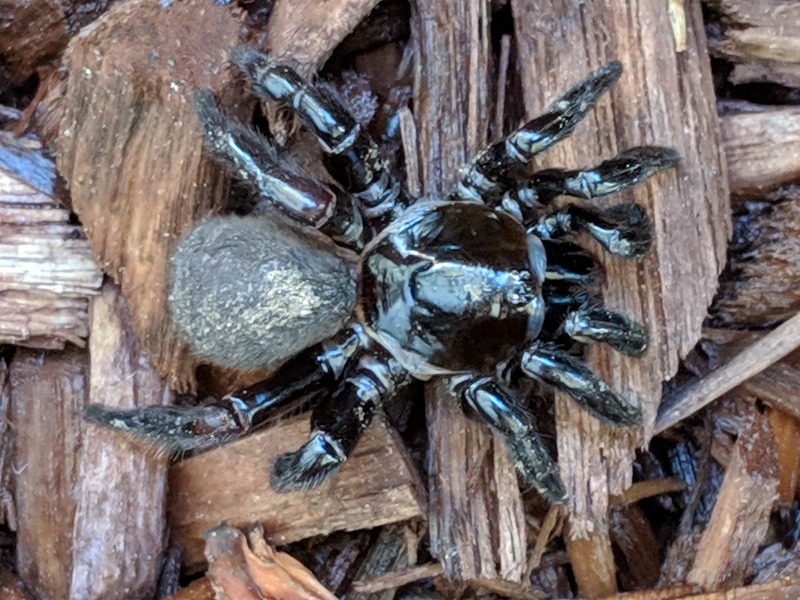 This looks like a Cork-lid Trapdoor Spider, Ummidia sp.. Sorry I don’t know if it’s sick or old, I would offer it water. They can drink from a moistened cotton ball or scrap of paper towel.